OSHA recently unveiled its top 10 most frequently cited standards. The agency reports the leading causes of workplace injuries during its fiscal year (October through the following September) to help businesses identify common safety pain points. The 2018 top 10 list of most frequently cited standards didn’t change significantly from 2017, with fall protection violations staying on top of the list. In fact, the top seven standards remained the same. Read below to learn more details on the top 10 most cited OSHA standards. Falls from ladders and roofs still account for most injuries at work. Identifying fall hazards and finding the best way to protect workers should be your first step when improving safety in the workplace. Some potential solutions can include guardrails, safety nets and personal fall protection systems that are used alongside general safe work practices and training. OSHA requires businesses to keep information on hazardous chemicals in order to ensure their employees’ safety. Standard 1910.1200 governs hazard communication when chemicals are produced or imported into the workplace. 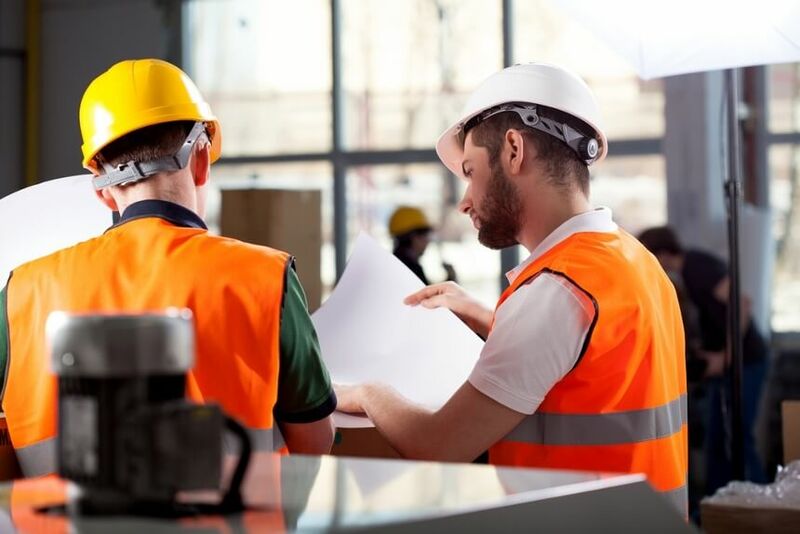 The failure to either develop or maintain a proper written training program for employees, as well as the failure to provide a Safety Data Sheet for every hazardous chemical, is a common concern for many businesses. According to the Bureau of Labor Statistics, the vast majority of scaffolding accidents come from the structure’s support giving way, employees losing their footing or falling objects. Protect against these and other scaffolding hazards by strictly enforcing OSHA standards. The right respiratory protection can protect employees from a wide variety of hazards, including oxygen-deficient environments, harmful dusts, fogs, smokes, mists, gases, vapors and sprays. Because these hazards can cause cancer, lung impairment or death, it’s critical that employers establish a worksite-specific protection program that follows OSHA’s standard. Lockout/tagout (LOTO) refers to practices and procedures to prevent machinery or equipment from starting unexpectedly and causing an injury. Employees who service mechanical or electrical equipment face the greatest risk of injury if LOTO isn’t implemented properly. Also, an employee who’s injured on the job from exposure to these hazards lose an average of 24 workdays for recuperation. These violations usually occur when ladders are used outside the manufacturer’s recommendation, such as when the top level is used as a step, when ladders aren’t used on stable surfaces or when defective ladders aren’t taken out of service. The main factors that lead to injuries are a lack of training and a disregard for safe ladder practices. Each year, there are tens of thousands of injuries caused by powered industrial trucks—especially forklifts. Many employees are injured when these trucks are driven off loading docks or when they fall between docks and unsecured trailers. Other common injuries occur when employees are struck by lift trucks or fall from elevated pallets and tines. Most incidents also involve costly property damage, including damage to overhead sprinklers, racking, pipes, walls and machinery. Because falls represent such a serious risk, employers must train employees to identify potential hazards and follow procedures in order to minimize the chance of a fall. According to OSHA, training should go over the use of fall protection methods such as guardrails, safety nets and personal fall arrest systems. Employers should also verify that employees completed training by keeping written certification records. When left exposed, moving machine parts have the potential to cause serious workplace injuries, such as amputations, burns, blindness and crushed fingers or hands. Employers can substantially reduce the chance of injury by installing and maintaining proper machine guards. Eye injuries cost employers an estimated $300 million every year in lost production time, medical expenses and workers’ compensation. Make sure to keep your employees safe by giving them the eye and face protection they need to stay safe from chemical, environmental, radiological and mechanical hazards. Thunderstorms: Before, During and After. ERISA Compliance FAQ: What is an ERISA Plan?